however, it can be alleviated. Historically, it is always the month of Tishri that reflected how true the community, both local and global, was to the spirit of the Shemitah year. 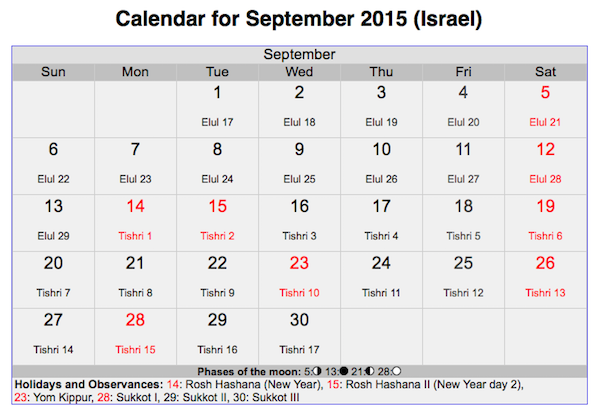 The Shemitah always ends on Elul 29, which is the last day of the month of Elul that falls on September 13th in 2015. This particular Shemitah inaugurates the Biblical Shemitah Jubilee which officially begins on September 23rd with the close of Yom Kippur. What distinguishes this particular Jubilee from all the others is that the upcoming one is the 70th stretching back almost 3500 years. The crucial understanding here concerns the spirit of the Shemitah. The very purpose of the Shemitah was to rest … to rejuvenate … to prepare for the next 7-year cycle. The practical ways for doing that were to let the farmland lie fallow and for the shopkeepers to take a respite. Business was curtailed to only what was necessary. A more spiritual and contemplative posture was assumed by everyone in the community. On the financial front the outstanding debts were forgiven, as were other forms of indebtedness. This religious practice (showing mercy and compassion) allowed everyone in the community to start over free from old debts and crushing burdens. Individuals and families, businesses and other enterprises could then begin the next seven year cycle refreshed. Again, it the respecting and honoring the spirit of the Shemitah that is of utmost importance. By doing so those obedient Jewish communities were ensuring a future full of peace and prosperity. However, the recorded history of the Hebrew people also provides dramatic examples of when the Shemitah was not properly observed. It was always during the month of Tishri that JUDGMENT fell upon the land after the trumpets sounded on Elul 29. Hence, the biblical sounding of trumpets could presage both great joy and jubilation, or difficult trials and tribulation. In the latter case, the “JUDGMENT” was simply a karmic blowback for the failure to release those from indebtedness who would be weighed down during the next 7 year cycle. Not showing mercy toward their brethren or not allowing the land to rest were considered transgressions against God’s will, as well as the scriptural injunctions. Hard times would surely follow when the divine laws associated with the Shemitah were not strictly obeyed. Now, let’s fast forward from ancient Israel to the post-modern USA and the present Global Economic & Financial System. It is really quite easy to forecast the future of the planetary civilization based on recent history. The many long established societal trajectories, which have been plotted over the past 50 years, also telegraph both fate and fortune. The economic and financial trends since 1965 have clearly carved out a destiny which has been tracking deeper and wider by the year. Since 2015/2016 is the Jubilee, this particular year will either suffer or enjoy the fruits or just desserts, respectively, of 50 years of human endeavor or lack thereof where there was neglect. Quite inauspiciously, the third millennium began with an unmatched cataclysm on September 11 of 2001. That false flag terror attack had unfortunately set the stage for the past 14 years, another 2 x 7 cycle. Hence, the 2015/2016 period represents the blowback of so much karma on so many different levels. The fruition of benevolent plans and malevolent perpetrations for both good and ill, respectively, are now approaching their culmination and climax. A quick scan of the turbulent and tumultuous global geopolitical chessboard clearly portends a very dynamic and fast-changing game. Especially for those nations which happen to be located in the wrong place at the wrong time, have the times been full of misery and misfortune. Some countries such as the Ukraine, Syria, Iraq, Libya, Yemen and, of course, Palestine have seen the Shemitah bring nothing but extreme adversity. Where it pertains to the spirit of the Shemitah, there are three main areas of deep concern. Truly, the unfoldment of the Super Shemitah will be determined to a great extent by how things continue to develop in the USA, in the European Union (EU) and in China (as well as the major economies of the Asian Pacific Rim). Each of these now face monumental problems and formidable obstacles which will not go away unless they are dealt with decisively. I. The EU treatment of Greece does not bode well … for anyone. The imposition of even more austerity and hard times on a thoroughly bankrupt nation runs completely counter to the spirit of the Shemitah. The lack of charity toward the people of Greece has been shocking and disturbing. The ever-worsening immigration turmoil throughout the whole EU will only continue. These are the karmic consequences for unlawful military attacks supported by Europe on various Middle Eastern countries such as Libya and Syria, Iraq and Yemen. The whole EU, not just the PIIGS, is actually in big trouble. Even France and Germany are not in very good shape considering the global economic downturn. However, it is the brutal treatment by the EU, ECB and IMF of Greece that has set the European stage for a Super Shemitah disaster. So, too, has the European support of the civil war in the Ukraine, as well as the unjustified and illicit sanctions levied against Russia. Crashing the Russian economy by the West, in particular, was an extremely unwise move by the Anglo-American Axis (see Glossary). II. The USA has a national debt fast approaching $19 trillion. The divide between the 1% and the 99% grows by the day. Racial hatreds and religious prejudices are being stoked by both media and government. Police brutality and gun violence are now commonplace. Financial hardship and economic stagnation are everywhere to be found. Wall Street has methodically closed down Main Street, as the Fed bails out the TBTF banks instead of the truly indigent and destitute. The political differences have never been so irreconcilable. The government has never been so transparently corrupt and bereft of moral leadership. Profound judicial rulings and legal decisions have been improperly rendered which will have great consequence. Social engineering is occurring at breakneck speed in the wrong direction, which is giving rise to an ultra-permissive society that many now refer to as Sodom and Gomorrah. The epic California Drought and relentless persecution of the state of Texas by Washington only add to this volatile mix. The American stage for a Super Shemitah event(s) has been painstakingly set up by the year since 9/11. III. The Far East is fraught with unpredictability and unknowns. China’s stock markets are in total disarray as their currency fluctuations bring more uncertainty to global markets. The Asian economic powerhouse — 2nd largest in the world — is slowing down precipitously. Japan not only has Fukushima looming in Tokyo’s backyard, its political instability and economic doldrums increase by the day. Their dexterous use of financial sleight of hand is the only reason why Japan has not collapsed outright. The 2 Koreas have yet to sign a durable peace treaty which means that the Korean War is ongoing, mostly at the instigation of the USA. The Philippines is incessantly thrashed by global climate change precipitated superstorms which threaten environmental stability and economic security. Lastly, India has yet to jumpstart itself even with a very business-oriented prime minister. Bringing such a large rural population into the Internet Age has proven to be overwhelming as intractable social problems and corporate abuses resist resolution. When considered in the aggregate, it is likely that the Super Shemitah will not be easy on the Asian economies. What is most obvious in the world today is the perpetual state of war throughout the Mideast. Then there is the current predicament of financial volatility and economic instability throughout the entire European Union. The same goes for China and Japan. The devolving state of affairs in the USA is equally desperate and unstable … in every sphere of life. So, too, are there deteriorating situations in various African and South American countries. However, it is the largest economies of the world that pose the greatest problems for the community of nations. The United States and European Union, Russia and China, Japan and India all represent the biggest economies on Earth. Herein lies the greatest threat which looms from the Super Shemitah. There is a critical point here: That what transpires across the planetary realm during the month of Tishri will demonstrate the benefits or the consequences of a Shemitah year well lived or otherwise. In other words the more that the spirit of the Shemitah is respected, the fewer the consequences for society-at-large. When the spirit of the Shemitah is not properly honored, throughout both the mundane and spiritual realms, the community will bear the appropriate consequences. In the present case “the community” is now very much a global one. Because the ruling cabal that oversees the Global Economic & Financial System has used the Shemitah phenomenon for millennia, they have sufficiently interpenetrated every facet of society. In this way TPTB have guaranteed that the coming Jubilee will indeed manifest — quite impressively — as the historic 70th Jubilee that it is. 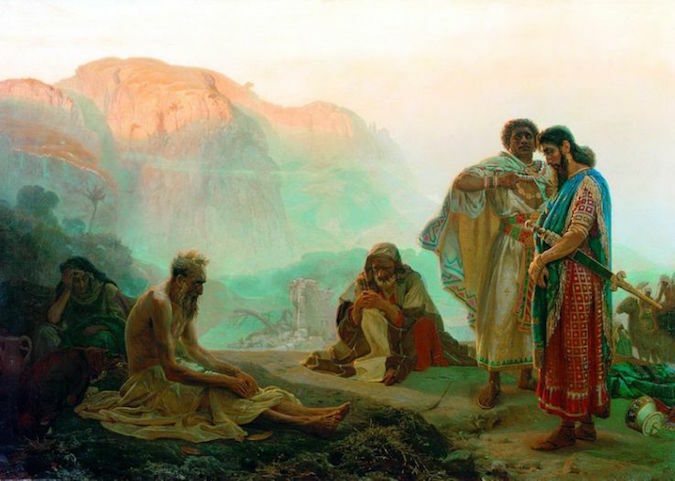 The biblical story of Job presents an excellent example of where we really are. In short Job’s plight represents the predicament of the human race. Who is not caught up and crushed by the rat race of life in 2015? God used Satan to test Job, as humankind is being tested, at the apparent behest of Satan. However, it was God who planted the seed in the first place because Job needed to be tried and tested. It was his time. Satan thought he had the power to nettle and vex the righteous Job. No, God gave him the temporary power to afflict and bedevil Job at every turn. The moral of the story is that God is in charge, not the devil. Conversely, TPTB have no real power; it’s all perceived power which can be taken away in the blink of an eye. Yes, they pulled off a couple of ‘successful’ controlled demolitions in September of 2008 and 2001. However, that was then; this is now. Only time will tell how this tract of humanity will fare during the upcoming Super Shemitah. Regardless of the prophesied Great Tribulation, God — and God alone — remains in charge of the entire epochal transformation. The earthly powers merely do his bidding, unwittingly of course. Let’s get back to the month of Tishri. Rabbi Jonathan Cahn quite eloquently speaks to what is happening right now regarding the 40 holy days which transpire from Elul 1 through Tishri 10. Just like the 40 days of the Christian Lenten season, this period of time is set aside for special prayers, fasting and repentance. Rosh Hashanah (aka the Feast of Trumpets) marks the Jewish New Year which takes place from September 13th to the 15th. This entire 40 day period culminates on Yom Kippur — the Day of Atonement — on September 22/23. It’s imperative for those who understand the significance of this special window of time — from September 13 to September 23 — to use the sublime energies in the best possible way and for the greatest good. 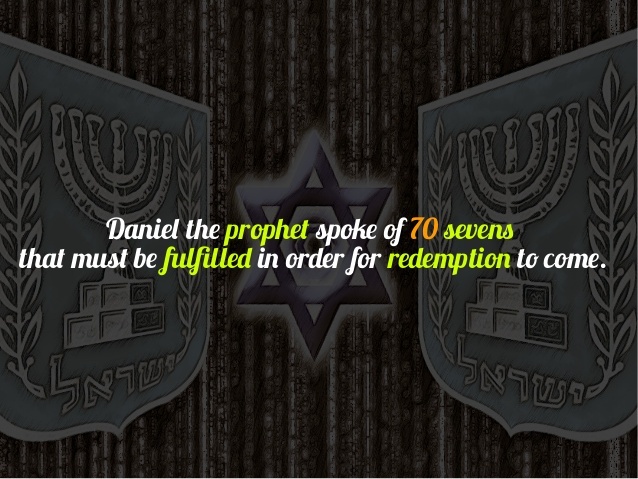 From the ending of the Shemitah year on the 13th to the beginning of the 70th Jubilee on the 23rd, virtually anything is possible. Likewise, in light of the true state of the GE&FS, as well as the many unresolved and profound financial and economic issues previously discussed, that realm will most probably see some something very BIG occur! If ever there was a time to align with the Spirit of the Shemitah — of atonement — this is it. Rabbi Cahn makes a very strong case for every individual to live in the spirit of the Shemitah, and to make amends wherever possible. He points directly to a number of official actions taken by the U.S. Federal Government which have put the whole nation in jeopardy. Some of these highly misguided initiatives have profoundly exposed the American people to pushback by the Universe itself. When a nation chooses to violate natural law, divine law, scriptural law so zealously, “the writing is on the wall”. Rabbi Cahn refers to the true back story of this biblical phrase in his most recent video which is further described below from an alternative reference. “The writing on the wall”, or “the hand writing on the wall”, or “the writing is on the wall” or “Mene Mene”, is an idiom implying that there is evidence of an impending disaster. The event may be seen as difficult to avert. The expression refers originally to Chapter 5 of the Book of Daniel, in which a disembodied hand writes an enigmatic message on the palace wall of Babylon. 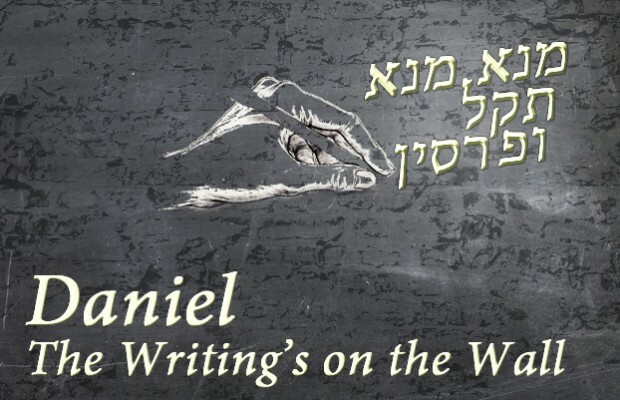 In the Daniel 5, a disembodied hand is witnessed writing on the wall at Belshazzar’s feast in the palace of Babylon. The event occurs while those at the feast profane the sacred vessels that were pillaged from the Jerusalem Temple. The words that appear on the palace wall are “Mene, Mene, Tekel, Upharsin.” The prophet Daniel is summoned to interpret the message, which, as he explains, means the imminent end of the Babylonian kingdom. That night, Belshazzar is killed and the Medo-Persians sack the capital city. The bottom line here is that the Year of the Shemitah is not to be used to break the law (or make bad law), especially the higher laws that have been obeyed since time immemorial. In the words of Rabbi Cahn, “acts of desecration” by any means — in the courts or in the temple or in the abortion clinic — are anathema to the Lord during these holy days. Therefore, the greater the transgressions, the greater the retribution … both individually and collectively. When numerous “acts of desecration” in the aggregate exceed a certain threshold, God’s Judgment quite naturally issues forth. This divine intercession does not occur as a punishment or chastisement; rather, it comes as a divine corrective measure. Only in this way will the people be saved from the consequences of their ever-worsening behavior that contravenes natural law. In other words, the Almighty has been tapping on the shoulder those nations and societies which continue to offend the universal order. With each tap getting a little stronger over the past 50 years, a critical mass of people has yet to receive the vital message. Therefore, it appears that the Highest Power now has only one recourse, and that is to deliver the message in such a way that it cannot be ignored. The following body of evidence serves as the basis for some those previous messages from on high. September of every Shemitah year has proven to be a highly consequential window of time because Elul 29, the very last day of the year falls within this month. 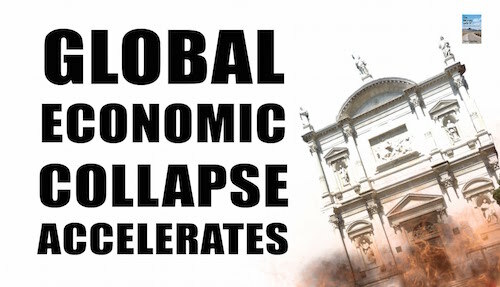 Going back every 7 years provides stunning evidence of a remarkable correlation with global financial breakdown and economic collapse. 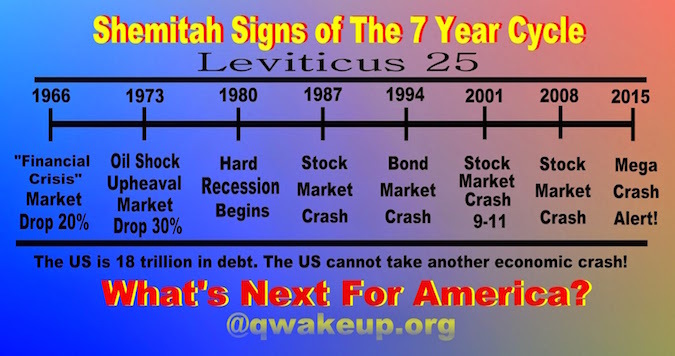 The historical record below delineates the last several Shemitah years and the major financial and economic events that occurred … right on time. This list of events demonstrates that September and beyond, especially during the month of Tishri, is when the effects of the Shemitah are often felt to the greatest degree. What occurs during the 9/13/15 – 9/23/15 time frame will determine the outcomes for the rest of September and October. However, because this is the Super Shemitah, the remainder of the year and well into 2016 will quite likely be very interesting times indeed. There is also the extraordinary convergence of various luminary and astrological events occurring during this September. Some of the most consequential cannot be mere coincidence, particularly the solar eclipse on Elul 29, as their timing ‘seems’ to be the product of divine ordination. 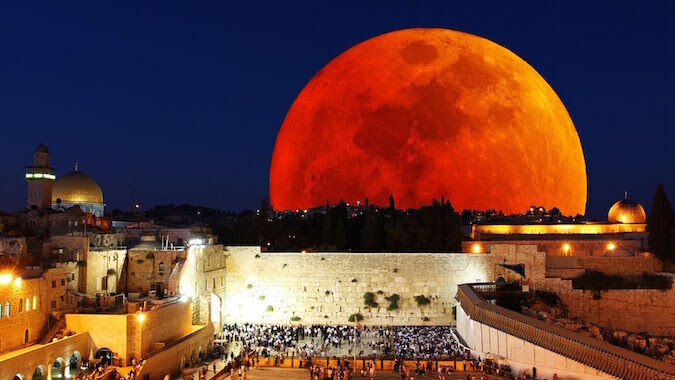 Similarly, the last Blood Moon of an ongoing tetrad also takes place on September 28th, just after the Biblical Shemitah Jubilee begins. Perhaps this exceptional synchronicity reflects yet another example of where “sacred scripture has been morphed into a profane script”. It appears that a certain ROGUE group of Judaic astrologers and Kabbalistic practitioners, Talmudic scholars and Hebrew scribes, Cahilla elders and Jewish bankers, Orthodox rabbis and Zionist leaders have been quite busy indeed over the centuries. Otherwise, how else could everything be timed so perfectly and executed with such precision during the Shemitah years, especially during the finale? The Super Shemitah does hold the power of a super-catalytic series of events. Each of these ought to be understood in the context of our own modern-day biblical experience. By “biblical” it should be understood according to the religious and/or spiritual context of each soul. Some are guided by the Holy Bible or the Koran, the Vedas or the Buddhavacana; others are moved by the oral traditions of the Indigenous Peoples (such as those of the various Native American tribes). Within the Christian tradition each person may soon feel that they are living the life of a 21st century Job. However, every person on Earth will be participating in their own version of the End Times. For instance, those Christians who subscribe to the Book of Revelation can find therein the wisdom and solace that will help guide them through what might be viewed as the Great Tribulation. No matter what the prophecies and predictions are which actually manifest, all peoples will eventually find themselves in the same planetary predicament. Truly, what is soon to unfold around the globe will ensure that the shared experience of humanity is a universal one. The crucible of the Super Shemitah was quite purposefully designed in this fashion. As a result, each spiritual aspirant can partake of the vast body of wisdom and knowledge which will accrue very quickly in the wake of the Super Shemitah. 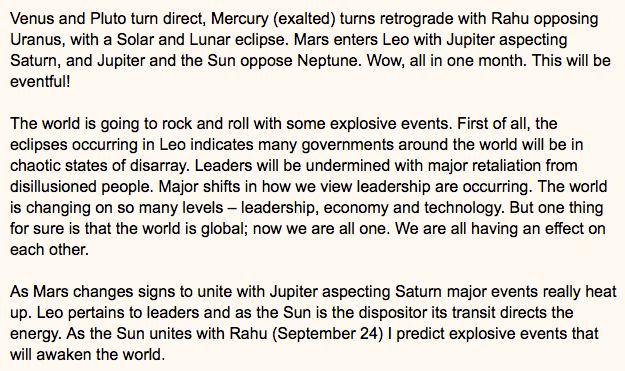 As the September prediction above indicated, “we are all one”. The global village is now hardwired (via the internet) so that anyone can tap into the global karma report at any time. In this manner everyone can become instantly aware of what is happening practically anywhere else on the planet. By living vicariously and consciously through each other’s experiences, anyone can accelerate their spiritual journey back to the Godhead. Such is the power of the Super Shemitah. To function as a heavenly catalyst in order to effectuate lasting transformation, both individual and collective, is its primary purpose. Just because TPTB don’t see it that way, doesn’t mean that the rest of humanity can’t. After all, “the writing is on the wall” … … … and most of us know exactly who put it there. The following video provides an excellent way to prepare for the Super Shemitah. Jonathan Cahn offers some valuable historical context, as well as present-day realities, which ought to be fully understood going forward. His penetrating insights and spiritual perspective serve to edify, enlighten and empower. The Anglo-American Axis is represented, first and foremost, by the major English-speaking countries of the world: USA, UK, Canada, Australia, New Zealand and Israel. The European member nations of NATO, such as Germany, France, Italy, Spain, Portugal, Belgium, Luxembourg and the Netherlands are also closely aligned with the AAA as are all the Scandinavian countries. So are the Asian Pacific Rim nations of Japan, South Korea, Taiwan and the Philippines. Pakistan, Kuwait, Jordan, Bahrain, United Arab Emirates, and Qatar also owe their allegiance to the AAA, although some of these may be changing. The World Shadow Government is a secret, supranational organization which completely controls the Anglo-American Axis, as well as the European Union, NATO, among many other institutional entities which constitute the Global Control Matrix. Who Is Engineering September’s Economic And Financial Global Meltdown? Next articleWhy Is The Entire SOLAR SYSTEM Undergoing Massive Changes?